Happy Birthday ladydreamer! Hope you have a great day tomorrow in your new home! And Happy Birthday as well to the still unemployed Mr. Welling, who needs to get that pretty face back to work, stat! 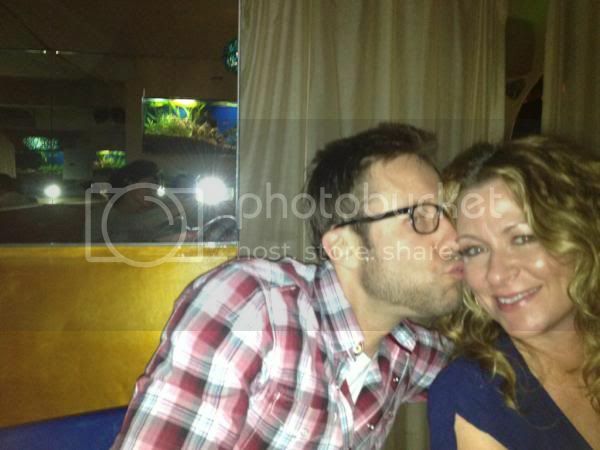 Michael has been hanging with his Old Days castmates. Morena Baccarin posted this photo on her site. I like that he & Isaiah Mustafa (aka Old Spice dude) are wearing matching shirts! Michael & Griffin, his AD's puppy, and his high school mascot, a knight! I have the Ghild website bookmarked. Hopefully I'll have time this weekend to watch it. I think he's sitting cross-legged with Griffin! Since Michael likes to dress like Mr. Mustafa, I think we need a pic of him in just a towel now. Glad his short is out. I hope it does really well in the public realm and gets a lot of good exposure from it. Heh, I hadn't noticed the matching shirts! How cute. Another adorable Michael + puppy pic, yay! The Old Days crew have been great benefactors when it comes to Michael pics! And it's so sweet how all his friends posted the link to Ghild. 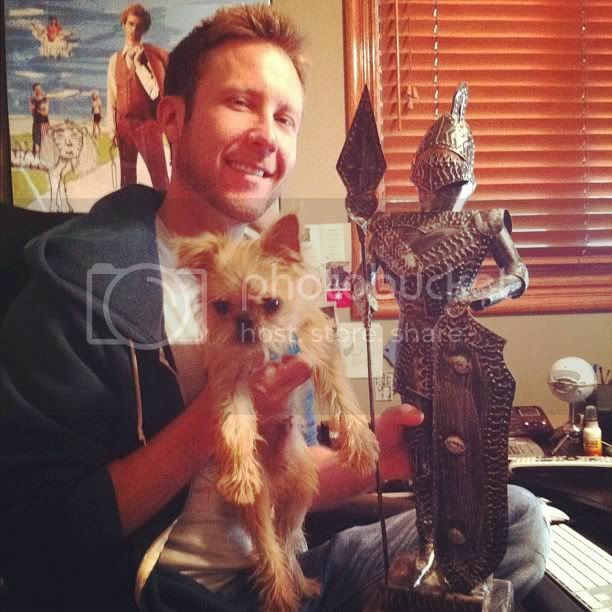 He does look very happy with a knight in one hand and a puppy in the other!